Game Theory: What does Majora’s Mask have to do with Africa? Many videogames borrow from world mythology for their settings, enemies, items and so on. The Legend of Zelda is no stranger to this. It frequently borrows from Japanese mythology, European folklore and many other places. 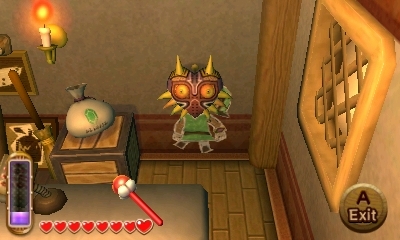 Majora’s Mask took a very different route with this, much like many other things in the game and borrowed plenty of things whose roots are African. Gaijin Goombah takes a look at this in three parts, starting with the bosses. Watch the video after the break! Has the Goombah covered all of the things African with these bosses, or did he perhaps miss a few things? Share your thoughts in the comments below, and see if you noticed the appearance of Zelda Dungeon in this very video!